For the longest time, I had such a love for potato chips – any kind and I would snack away. Now that I have tried to change my eating habits to healthier foods, my chip eating days have diminished. 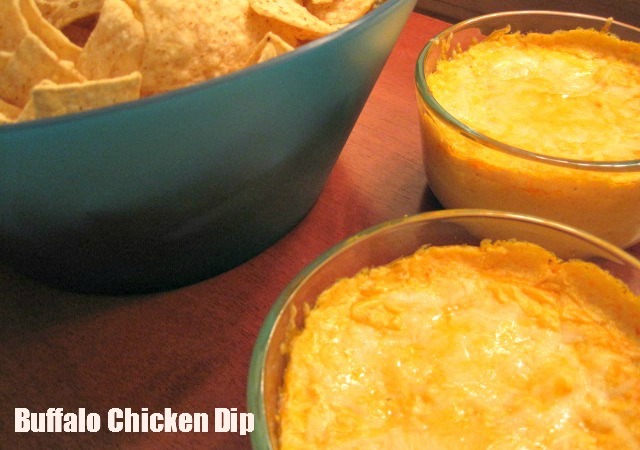 BUT, with it being National Chip and Dip Day today, who could resist? Instead of turning to the usual deep fried potato chips, I decided to make the recipes below for my friends and I to have for a Sunday snack. Not to mention, going through a whole jar of any store bought chip dip isn’t the healthiest for you either. In light of making my own chips, I also made some delicious dips. The great thing about these recipes is that I used coconut oil instead of other oils in most of these recipes when making my chips and dip. Some of these recipes are made with veggies or other “chip like” foods for a healthier alternative that will still satisfy my cravings. Here’s a list of my top favorite chip and dip recipes that are great for entertaining, snacks, and a little guilt-free indulging (at least some of them). Beet Chips with Goat Cheese and Caramelized Shallot Dip – There were times when my boyfriend and I could eat an entire jar of nacho cheese (yes I’m being serious). To fix my cheese chip craving, this goat cheese and caramelized shallot dip hits the spot! The beet chips are a great mockup of regular potato chips and the caramelized shallots in coconut oil balance the tanginess of the goat cheese for a perfect mix of savory and sweet. Bruschetta with Toasted Baguette Slices – So I know this is definitely not your traditional chip and dip recipe, but sure does the trick for me and serves as a delicious appetizer. I cut my baguettes into thinner slices for my “chips” and the bruschetta is a low calorie way to have dip and a source of Vitamins A, C, and K from the tomatoes. Spinach Dip with Homemade Tortilla Chips – Spinach dip is my all-time favorite and the fact that I can make my own at home saves me A LOT of money! If you’re concerned about the added fat from the cream cheese and cheese like I was, replacing those with low-fat or fat-free options will work the same. I love the fact that I can make my own tortilla chips with coconut oil and lightly fry them just the way I like them. Avocado Dip – Along with coconut oil, avocados are one super food that is here to stay. Spicing up this avocado dip with cilantro and lime makes for a flavorful combination that will also go great with homemade tortilla chips or even kale chips. 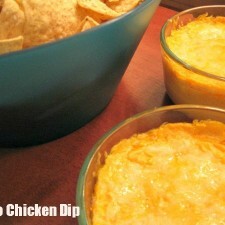 Buffalo Chicken Dip – Buffalo chicken is another savory favorite of mine, so why not turn it into a dip?! I must admit, this particular recipe that Jen made isn’t particularly the healthiest, but it’s just too good not to share. I substituted regular ranch dressing for a Greek yogurt based ranch that only has 3 grams of fat. Again, feel free to use fat-free cheeses and cream cheese as well to cut down the calories. I hope these chip and dip recipes will inspire you to make your own at home versions of classic favorites that will have you and your friends wanting more!